David Samuels, like the lead character and narrator of I Was a Pilot for the Mob, is a decorated veteran and winner of the Silver Star and numerous other medals for courage under fire. The author draws on his own experience as a helicopter gunship pilot in Vietnam and infuses the narrative with the kind of detail, action, and emotion that only someone who has been in combat can contribute. Samuels writes simply and well. His character talks to and not at the reader. 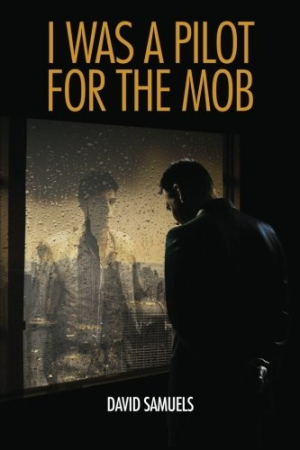 While even Daniel admits that certain mob characters, like one “Louie Velluci” in particular, seem to be “right out of a novel,” they are exactly the kind of creatures that readers of this genre expect and demand. Samuels delivers the goods, complete with the expected references to The Godfather, which are especially apropos as much of the mob story takes place during the decade when those series of books and movies were released. The mob job “really pays well,” though it is not the money but the thrill that propels the main character into such a life. “I loved the adrenalin rush,” Daniel tells the reader as he embarks upon one such operation. “My blood started to rise, and I started to get the warm feeling,” a feeling he says that used to come only from combat. As Daniel explains, and as so many returning veterans understand, once back in the real world “you aren’t the same and neither are the people you left behind.” Many veterans are traumatized by what they went through in war, but others, like Daniel (and perhaps the author himself), wonder, “What will replace the thrill of combat?” For the main character of Samuels’s book, the answer is found in the title.